This brush is not only great for eyeshadow but concealer as well. Makeup artists have been using crease brushes for years to help blend out creamy product like concealer or eyeshadow base. 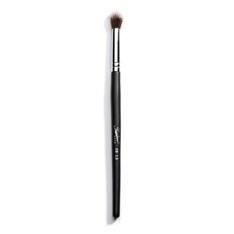 This brush was formulated with synthetic bristles to apply the perfect amount of product. The bristles are also nice and dense to for easily blending out darker crease colors. Tip: Use this as brush for contouring the nose. The shape and tapered bristles will help you blend out hard lines easily. I love getting eye brushes and would love to get more in our boxes. Eye shadow brush, nice and fluffy great brush, you can never have to many eye shadow brushes.